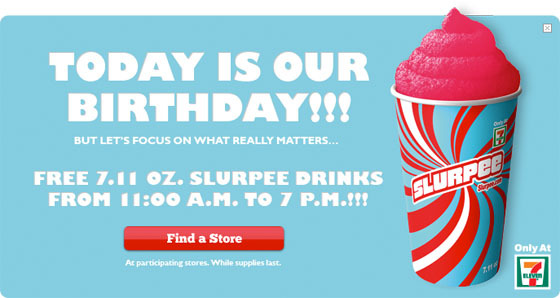 It’s almost time for 7-Eleven’s annual birthday and it is giving everyone a FREE 7.11 oz. Slurpee Wednesday, July 11 from 11 a.m. to 7 p.m. only. In honor of the drink’s anniversary, 7-Eleven will be handing out free Slurpees from 11 a.m. to 7 p.m. on July 11. Get there early to enjoy this freebie! The company estimates it gives away 9 million Slurpees on 7-Eleven Day each year. America’s largest convenience store chain turns 91 Wednesday and is marking the day, which it has dubbed 7-Eleven Day and Free Slurpee Day, with a Slurpee giveaway. 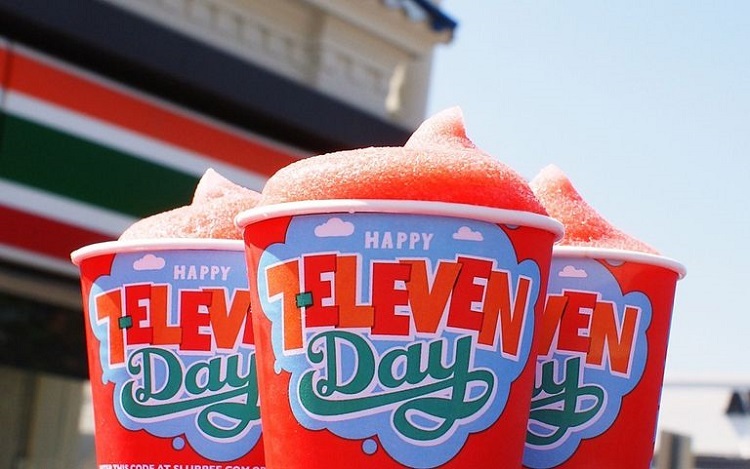 By taking place this Wednesday, 7-Eleven is cashing in on a natural: July 11, or 7-11. Get it? And if you consider yourself a more serious Slurpee connoisseur and have the 7-Eleven app, for a limited time you will be able to buy up to 7 Slurpees and get 11 free. Other delicious deals for Slurpee Week include the new Cap’n Crunch Crunch Berries Slurpee, and 7-Eleven will also offer $1 hot dogs all day on Wednesday, as well as on July 18, which is National Hot Dog Day. Limit one per customer, valid at participating locations only and while supplies last. CLICK HERE TO SEARCH THE STORE LOCATOR.